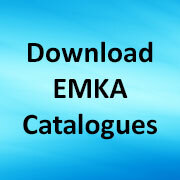 For many years EMKA have operated on the basis of supplying “everything but the enclosure” and increasingly we are also finding that “everything in stainless steel” is the demand for cabinet hardware, as installations find more aggressive environments and more challenging regulations. 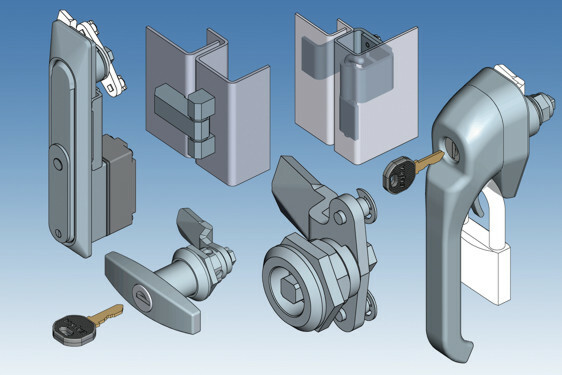 Industries such as food processing and pharmaceuticals have become much more sophisticated and far reaching in their requirements that we now provide a wealth of stainless steel components from hinges and handles to specialist locking systems. Materials vary from AISI 303 to AISI 316 and include fabricated as well as fully machined items with sealing up to IP66. Stainless steel products are often specified for their ruggedness and for their smooth cavity-free design, e.g. ¼ turn wing knobs for hygiene critical areas. There are also combinations of plastic bodies with stainless components for reduced cost. Other stainless products include 1000 program key locking stainless steel. These wing, T and L handles in AISI 316 grade stainless come at a high specification for material and sealing at IP65. Standard EMKA modular cylinders and keys complete the package for use in all sorts of arduous, wash-down, corrosive or otherwise very difficult environments. They feature standard EK 333 key types and industry standard 20mm “rounded square” cut-out installation. They also accept the extensive range of modular EMKA cams which allow for different depths of doors and frames in combination. A further example lies in the 1097 telescopic stay with push button release which offers the benefits of stainless steel in rugged corrosion prone environments. The 1097, like its “milder” family may be used for support of horizontal or vertical covers and doors on control panels, e.g. rooftop air-conditioning cabinets, for support, or simply as a wind stay. Standard features of the 1097 (stainless steel) series include manual release in 382mm extended length. Manual release ensures an added level of safety – requiring somebody to physically push the release button for release and is especially applicable in outdoor windy conditions. All 1097 type telescopic cover stays are adjustable for opening angle, dependent upon the mounting configuration. Share the post "NOW ALSO “EVERYTHING IN STAINLESS STEEL”"